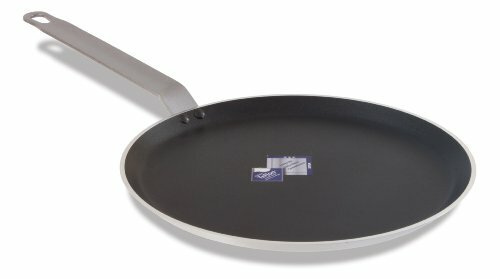 12" Crepe Pan is made of aluminum with non stick surface. This specialty cookware is easy to use and handles beautifully. Durable with even heat distribution, sure to create the perfect crepe! Versatile and easy to use.